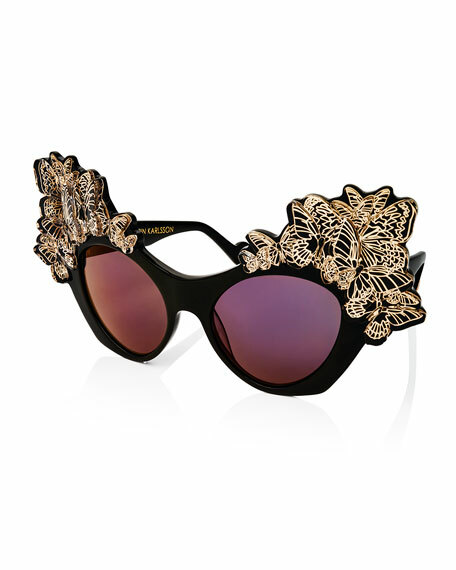 Anna-Karin Karlsson "The Butterfly" sunglasses. 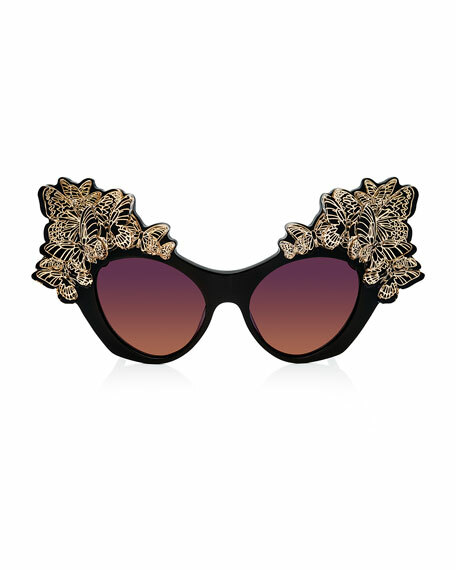 Acetate frames with plated copper trim. Butterfly detail at frame front. Logo script at arm interior. For in-store inquiries, use sku #1735753.